Inrush RM85 series relays are designed for assembly in plug-in sockets or for soldering directly in printed circuits. They were designed to connect and disconnect brief heavy loads, up to 80 A for 20 ms. AgSnO2 contacts ensure higher than standard temperature resistance and material migration at similar costs. 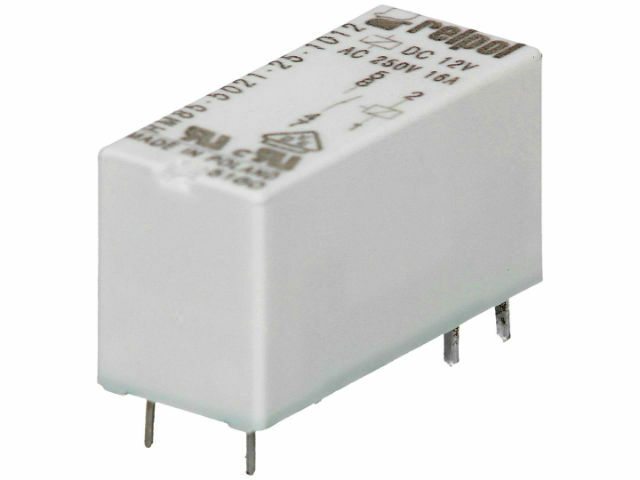 The relays can be used for controlling lighting, engine operation, electromagnetic valves, and in other applications. It is not recommended to use the relays in circuits with negligible loads.